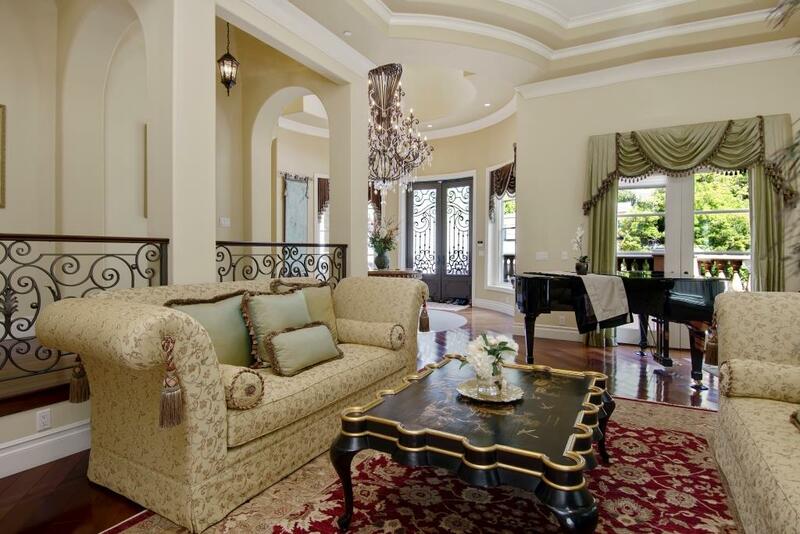 This luxurious gated Mediterranean villa rests in lower Beverly Hills PO. 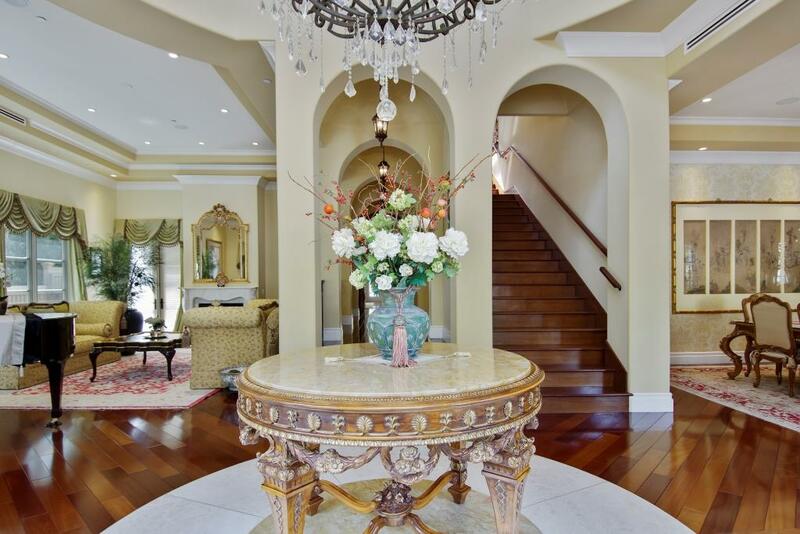 Enter this home through a grand two-story foyer with large entry hall highlighted by magnificent chandelier. The residence offers 5 bedrooms and 6 bathrooms with French doors and gorgeous rich hardwood floors throughout. The formal living room has a fireplace, high ceilings and crown moldings and separate family room that opens to covered outdoor al-fresco dining and fire pit. 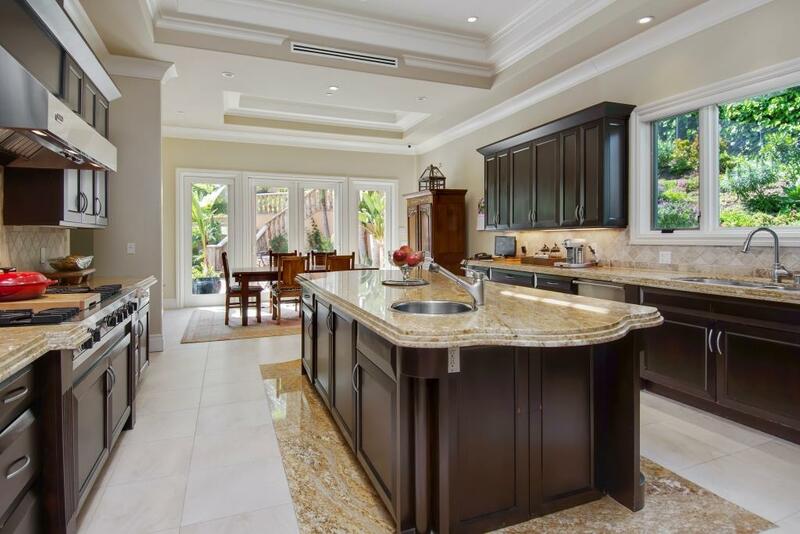 The large gourmet kitchen comes with top-of-the-line stainless steel appliances, center island and granite counter-tops complete with large breakfast area. The sumptuous master suite features entry foyer, fireplace and two private verandas. The master bathroom includes two walk-in closets, dual sinks, oversized steam shower and spa tub. There are three additional family suites upstairs, each with their own bathroom and walk-in closets. Double doors open to magical gardens with pool and spa. There are private elevator, two car garage and large motor court with fountain. For more information, contact Myra Nourmand at 310-888-3333 or [email protected]. 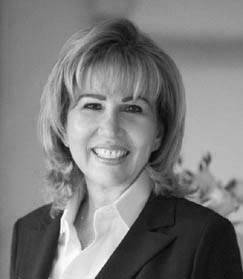 Myra Nourmand is the exclusive agent representing the Los Angeles, California real estate markets as a member of the Haute Residence Real Estate Network. View all of her listings here.